Y.S. RANA, CHANDIGARH—The age-old homeopathic system of medicine and treatment is slowly but surely catching up with Chandigarhians and Homeopathic College and Hospital in Sector 26 is playing an important role in popularizing the system as the number of patients continue to swell by the day. It is gaining popularity not only among the rural folks but also high profile areas. Even the people of nearby areas like Ambala, Solan, Ropar, Zirakpur and Patiala. The system is attracting patients suffering from chronic diseases, in large numbers, said Dr Sandeep Puri, Principal, HMCH, Chandigarh. Dr Puri further stated that in 2016 a total of 16,332 patients visited the homeopathic camps and its OPDs against 37,486 during 2017. 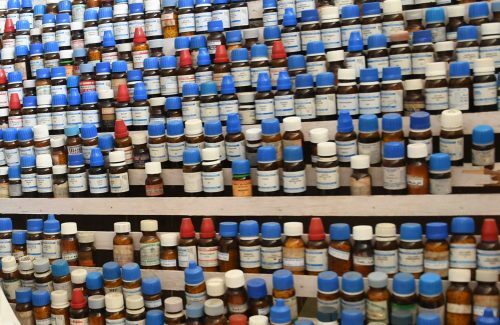 Andin 2018, as many as 60,051 patients came calling at the homeopathy camps and college’s OPDs. He further revealed that during the past three years, as many as 21,498 patients visited homeopathic camps held by the college and more than 40,000 patients called at various homeopathic OPDs of the hospital, added Dr Puri. Since 2018, the hospital has also started dental OPD and eye OPD on the premises of the hospital. Students of the college undergo training in clinical and post mortem at general hospital-16 and GMCH-32. Detailing the various steps taken by the authorities to provide total healthcare to the residents, Dr Puri said that currently five homeopathic OPDs—medicine I and II, gynae, pediatrics and surgery were running. Besides the hospital has fully automatic clinical lab, digital X-ray facility, USG, Doppler test, ECG, rehabilitation including physiotherapy and yoga, said he. Chronic diseases like cancer, renal failure, diabetes, HTN, arthritis, renal calculi, Pcod, infertility have been cured by homeopathic system. A cancer patient of Rurkee has been cured by homeopathy medicines he was told by the doctors that he would not live more than a week, told Dr Puri. The hospital has adopted village Khuda Lahora. Free medicines are being given to the villagers. Patients belong to below poverty line are being given homoepathic medicines free o cost at the hospital. The credit goes to the measures taken by the college authority to strengthen and equip its departments. The college has been offering people total healthcare under one roof. The holistic approach to treatment has gained both acceptance and lent popularity to the homeopathic system of medicine. Dr Puri who is MD in Homeopathy has number of articles on homeopathy and two books to his credit also revealed that Homeopathy came to India in 1810 when Dr. John Martin Honigberger, a French traveler who learnt homeopathy from Dr Hahnemann, visited India and treated patients. He treated Maharaja Ranjit Singh – the then ruler of Punjab – with a homeopathic remedy Dulcamara while he suffered from paralysis of the vocal.